Is your little bundle of joy ready to make the transition from the baby bath to the big bathtub? We bet you’re excited about this step in baby’s progress and can’t wait to introduce a few new toys to make bathtime fun for both of you! But upon inspection of the bathroom in your old Brisbane Queenslander, you begin to realise that a few adjustments need to be made to ensure the safety of your child in the bath. The scented candles and bath oils dotted around the tub (for your exclusive bath relaxation time- when you can find it!) need to be removed from the reach of tiny hands. Easily done! But the state of the bathtub itself leaves much to be desired. It may be starting to show intricate hairline cracks that could pose a bigger issue in the near future. Or perhaps the paint is starting to peel and bubble. Worse still, it could be showing signs of rust. Even if the issues seem relatively small now, it’s important to undergo a bath restoration before commencing baby’s transition to the big tub. After all, you know that first impressions are everything for a child, and if they’re scared of the bathtub from the start, it’ll make washing unpleasant and harrowing rather than fun and enjoyable. Here’s how to ensure that your child’s adjustment from the baby bath to a full bathtub is smooth, happy and stress-free. 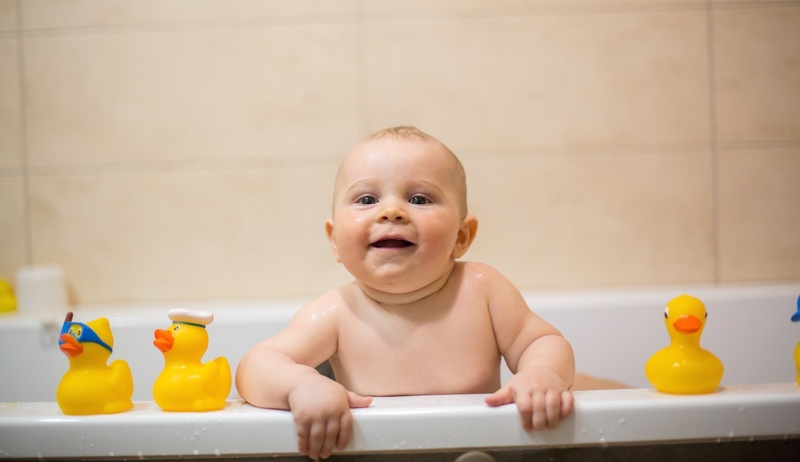 The first step to getting everything ready for your baby’s transition to the big bath is ensuring that it’s in tip-top shape and completely safe. 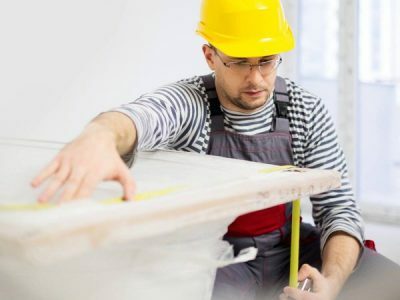 Before you start feeling overwhelmed at the amount of work your bathtub will need, know that bath restoration in Brisbane doesn’t have to be a costly and lengthy process. In fact, you can have your bathtub repaired to look brand new again in just three hours by choosing bath relining services. So there’s no need to delay your child’s progress from a baby bath to the family tub. 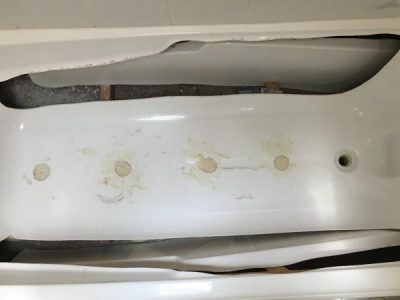 Bathtub relining is much safer than other bath restoration processes such as re-painting, spraying or enamelling because it doesn’t use any harmful, airborne chemicals. This is especially beneficial for families with bubs and kids who suffer from asthma. During installation, the technician will place a new acrylic insert over your existing bath. It’s specifically moulded to fit your bath’s dimensions and is secured with expanding foam filler in the small space between your old bath surface, and new liner. It’s safe, quick and easy – your bath will be ready for use the very next day! Once your little one can sit up by themselves, you may choose to move them to the family bathtub for bath time. To make the transition as seamless as possible, you may begin by placing the baby bath in the big tub first (if you haven’t been doing this already), to gauge how they react to a change in scenery. Some babies are frightened by the sound of running water. If this is the case, try preparing everything for the bath before bringing baby in. It’s important to familiarise them with the bathroom before placing them in the big tub, however. To do this, you could try putting their bath toys out on the bath mat and playing with them next to the bath, before gradually moving baby, and the toys, into the water. Ensure that the water level isn’t above their hip height when they’re seated. Make sure the bathroom is warm in Winter so that baby doesn’t catch a chill when taken out of the water. Keep the water temperature at around 37 degrees Celsius. Think about covering the bath taps with inflatable safety covers or something soft, to avoid accidents and discourage baby from fiddling with the taps when he or she gets older. Never leave your little one alone in the bathtub. Have everything you need close by the tub in the bathroom beforehand. Now that you’ve got all the safety precautions under control for better peace of mind, and baby is used to the big tub, you can have some fun choosing interactive water toys! Some kids are happy simply playing with plastic baking cups from the kitchen, which is great for your budget! But if you find that your little one is getting a bit bored or restless during bath time, try a few of these exciting toys. Create fountains with this cute little toy shaped like a bumble bee. With easy-grip handles, it’s great for babies and toddlers alike. We love this adorable floating whale thermometer! Ensure that baby’s bath doesn’t get too cold while they’re happily playing away. The whale’s looped tale makes it easy for baby to grab and chug around the water. This little owl and bee love to hit the surf! They light up whenever they touch the water and are great for bobbing about the tub. 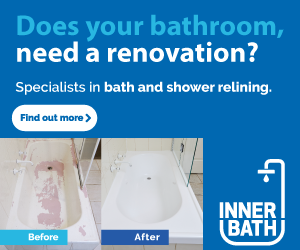 Inner Bath specialises in Brisbane bath restorations and can prepare your bathtub so that it’s safe and inviting for your baby. 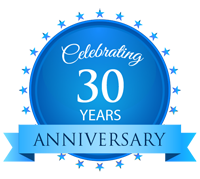 Contact us today to make an appointment. Resurfacing Your Bath or Buying a New Bathtub? Don’t Do Either! 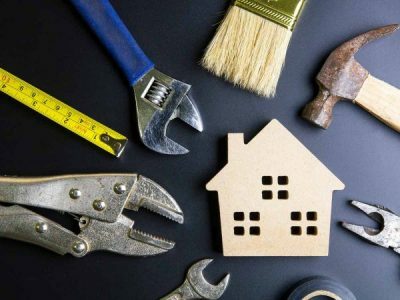 Great Maintenance Tips For Brisbane Real Estate Property Managers!